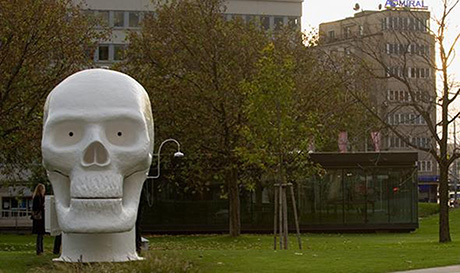 Sitting for four months outside Vienna’s contemporary art centre Kunsthalle Wien is a giant white fibreglass skull: the Wellness Skull by Dutch artist Joep van Lieshout. Inside, the skull is set up as a mini health centre, with a selection of relaxation areas. In the neck of the skull is a small bath and a sauna is contained within the head of the skull. When the sauna is turned on, hot air streams out of the eye sockets. Once a month, on a Saturday afternoon, the public can climb inside the skull to take a tour of the facilities. 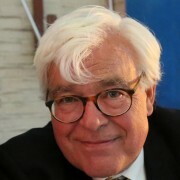 The skull refers back to the vanity symbol, a prominent theme in Dutch Old Master paintings, especially in the still life, where symbols of transience reminded the viewers that life was short and in the hands of God.